Pune, April 4, 2019: Tata AutoComp Systems, India’s leading auto-component conglomerate has signed a joint-venture with Chinese company Guoxuan Hi-Tech, to design, engineer, manufacture and supply battery packs for the Indian four-wheeler market. The joint-venture company has started a prototype manufacturing operation in Pune, India. 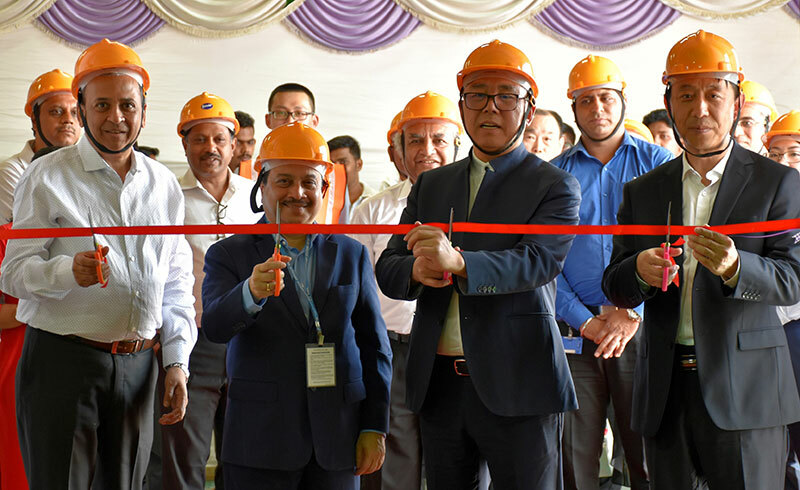 The Prototype facility was inaugurated by Mr. Zhen Li, Chairman Guoxuan Hi-Tech and Mr. Arvind Goel, MD & CEO Tata AutoComp Systems Limited. The joint venture company is now geared up to support the Indian EV OEMs. Tata AutoComp’s offerings to the emerging EV segment now include Batter Pack, Battery Cooling System, Battery Management System, Radiator and DC Chargers. Tata AutoComp Systems Limited (Tata AutoComp), promoted by the Tata Group, provides products and services to the Indian and Global automotive OEMs as well as Tier 1 suppliers. Tata AutoComp has own capabilities in Automotive Interior & Exterior Plastics, Composites, Sheet Metal Stampings as well as Engineering and Supply Chain. Tata AutoComp has 8 joint ventures in partnership with leading companies from the Global Auto Component Industry through which it manufactures and markets automotive components and systems like engine cooling solutions, automotive batteries, rear view mirrors, command systems, HVAC, exhaust and emission control systems, seating systems, Batter Pack, Battery Cooling System, Battery Management System, DC Chargers and electronic solutions for passenger and commercial vehicles as well as suspensions for heavy commercial vehicles. Tata AutoComp has 36 manufacturing facilities spread across India and 9 facilities spread across North America, Latin America, Europe and China. Guoxuan High-Tech is one the leading enterprises in Chinese power battery business which has extended the full industrial chain of LFP/NCM lithium-ion battery technical research, engineering development, manufacturing and marketing from cathode/ anode material, cell, pack, BMS to overall administration system. Guoxuan High-Tech provides comprehensive solutions for electric vehicles and energy storage applications all over the world.